Below are just a few of our 10/10 reviews from our very satisfied customers. All these reviews have been verified by and can be viewed here. Completely happy with the service and would highly recommend using this company for any rubbish clearance you may have, we will be using them again. We had lots of rubbish to clear urgently after refurbing our studio. Jamie got to us the same day as I rang him and cleared it all. Fantastic service and kept us informed when he would be there. Really quick and a really reasonable pricing. 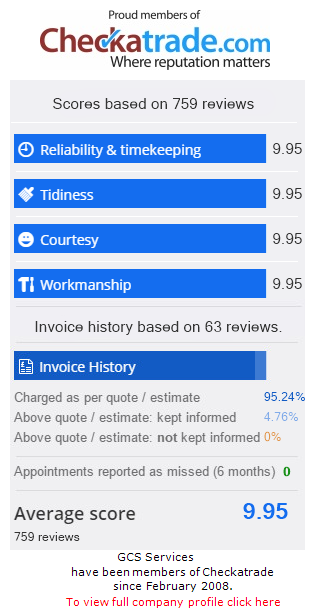 I have used this company many times over the last 5 years and they always deliver the same very high service and value for money. Brilliant service really quick. Left the area in a really good condition no problems at all and really good price thanks. Successfully removed grease stain from carpet avoiding the need to replace. Many Thanks. Removed rubbish and left it sparkling. Great company. Excellent job. Carpets came up like new. Very friendly and helpful. Would definitely use again. Best window cleaner I’ve ever had. Wouldn’t use anyone else!